The last time I saw Neil Halstead, back in October last year after his solo gig at Cecil Sharp House in Camden, I had just written a glowing review of his album as one-third of Black Hearted Brother for tQ, the gist of which was, "Hey losers, stop hankering after a Slowdive reunion and dig what’s going on now! "; a not unreasonable stance to take, seeing as the BHB album was brilliant, with Halstead busting out the effects pedals for the first time in almost two decades and making a “splendid freeform racket”. I joked with Halstead about this, and the fallacy of any imminent Slowdive reunion, sharing the story of how Steve Queralt [shoegaze namedrop clunk] once told me, apropos of a Ride reunion, that he hadn’t even picked up a bass guitar since the band split and it wasn’t as if he was just sat by the phone waiting for Andy and Mark to call. We laughed. Well, I laughed, but looking back, I can see that Halstead just grinned nervously and took a shifty pull on his roll-up. 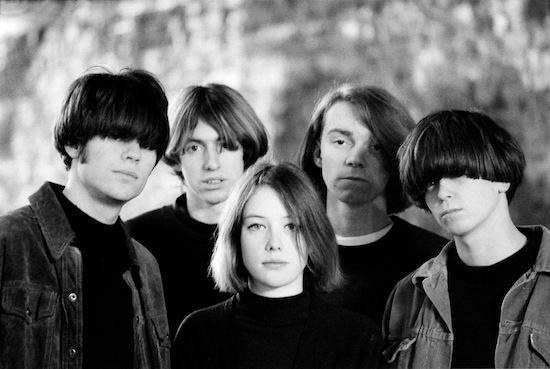 The sneaky bugger knew then what we all know now – Slowdive, the band at the vanguard of the shoegaze movement of the 1990s, the shoegazer’s shoegazers, the dreampop pioneers, have reformed. Of course the clues were all there, even then. The special guest at Halstead’s Camden gig was Rachel Goswell, former partner in Slowdive and Mojave 3 (and in love), who tentatively added some of her gorgeous harmonies to a handful of Slowdive songs. Both insist, in separate phone interviews that I conduct with them about the reunion, that her appearance – the first time she had sung with Halstead for almost ten years – had nothing to do with Slowdive getting back together, but was instead a favour for Nat Cramp of Sonic Cathedral, a tireless supporter of shoegaze past and present, who was keen on seeing the pair reunited on stage, even if just acoustically and for a couple of nights only. What Cramp, and the rest of the captive audience at Cecil Sharp House that autumn night, didn’t know, was that the deed had already been done, back in the summer when all five original members – Halstead and Goswell, along with Christian Savill (guitar), Nick Chaplin (bass) and Simon Scott (drums) – met and agreed that the time was right to get the band back together. Lewis Jamieson, a music PR, former 4AD A&R man and good friend of Goswell’s, helped the band to secure management with the same team who look after Editors and the wheels were in motion. 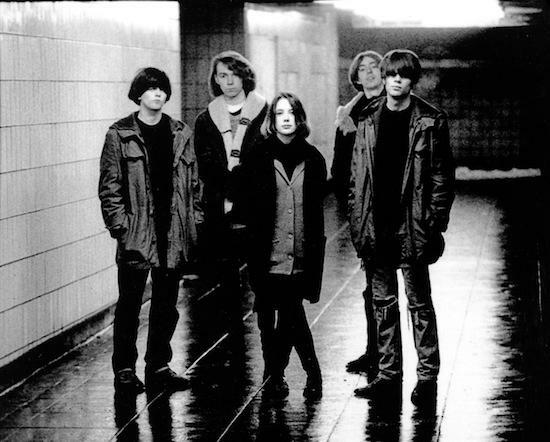 Over the past fortnight, the shoegaze quintet have been dropping a few not so subtle hints that the reunion was on the cards, with Twitter going into meltdown when band members started following a recently set up official Slowdive Twitter account, and appearing to start a countdown to today’s date – January 29, 2014. A flurry of online news pieces and lots of speculation followed, with official confirmation finally coming last night with the announcement that the band will play Primavera Sound in May. In fact, being in Slowdive during the Creation years wasn’t an altogether happy experience. The band was castigated in many quarters of the UK press; condemned for being well spoken and middle class and portrayed as having nothing to say. And unfortunately for Slowdive, the problems went beyond bad reviews. The idea of it being “fun” is more important to Goswell than anything else. The seeming ordeal of bad reviews and financial woes was put into perspective after the birth of her son, Jesse, in 2010. Jesse was born with CHARGE syndrome, an acronym for a specific set of unusual congenital features that left him profoundly deaf and partially sighted and required a life-saving heart operation aged just five months. He is still fed via a tube in his stomach overnight.